Willard was included in family discussions that were at the time considered to be only male areas of thought: politics, philosophy, world affairs and mathematics. At age 15, Willard was enrolled in her first school in her hometown of Berlin. She progressed so quickly that by 1804 she was teaching there. Willard eventually took charge of the academy for a term in 1806. In 1807, Willard left Berlin and briefly worked in Westfield, Massachusetts, before accepting a position as principal at a female academy in Middlebury, Vermont (1807-1809). Although she was only 20 years old, she was quite successful as a teacher and administrator. 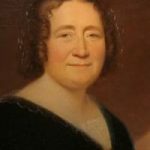 In 1809 she married Dr. John Willard, a local physician and prominent citizen 28 years her senior. Willard had four children from his previous marriages. Like Emma’s father, Dr. Willard encouraged Emma in her educational pursuits. The couple had one son together, John Hart Willard. Dr. Willard’s nephew, a student at Middlebury College who lived in the Willard home, gave Emma her first view of the vast difference between the educational opportunities open to men and to women. She studied her nephew’s textbooks and taught herself such subjects as geometry and philosophy. 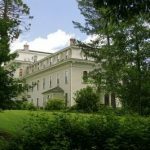 Emma Willard came to believe that women could master advanced topics like mathematics, philosophy and the sciences, and opened a boarding school for young women in 1814 in her Middlebury home. Women’s boarding schools at the time were “finishing schools” that offered young women (usually of wealth) skills of refinement, such as painting, singing, perhaps a bit of French. Over the next few years Willard demonstrated that women could teach and girls could learn the Classical and scientific subjects commonly thought suited only to men. Willard thought her ideas were important enough to influence a broader audience. In 1818 Willard refined her ideas for improving women’s education, proposing that a public-supported women’s seminary be founded, like a number of men’s institutions. She presented her ideas in An Address to the Public; Particularly to the Members of the Legislature of New-York, Proposing a Plan for Improving Female Education in 1819. Willard did not receive a response from the legislators. Several members ridiculed her outline of a course of academic studies for girls as contrary to God’s will. But she finally received support from the New York governor, DeWitt Clinton. Willard moved to Troy, New York after the town council there established a fund to support a school for young women. The Troy Female Seminary opened in September 1821 for boarding and day students. This was the first school in the United States to offer higher education for women. The curriculum consisted of the subjects Willard had longed to include: mathematics, philosophy, geography, history and science. The Seminary was a pioneer in the teaching of science, mathematics and social studies to girls, antedating Mary Lyon‘s Mount Holyoke Female Seminary by 16 years and the first public high schools for girls (in Boston and New York City) by five years. Yet Willard recognized that most of its graduates would be housewives, not professionals. Nevertheless she led the school to success, and it became a model for the comprehensive education of women. By 1831 the school had enrolled over 300 students, and the school actually made a profit. Her sister, Almira, came to teach with Emma, and was principal for about 8 years. She also wrote many science textbooks which were used nationally. In 1859 Almira became only the second woman ever elected to the American Association for the Advancement of Science. Despite her reputation today in women’s history, Willard was not a supporter of the women’s suffrage movement during the mid-19th century. She believed that women’s education was a much more important matter. Elizabeth Cady Stanton, a leader in the women’s rights movement, was an 1832 graduate of Troy Female Seminary. John Willard, Emma’s husband, died in 1825. In 1830, she went on a tour of Europe, and the following year published a book of poetry, The Fulfilment of a Promise (1831). Her most popular poem was entitled “Rocked in the Cradle of the Deep,” which she reportedly wrote while on an ocean voyage. 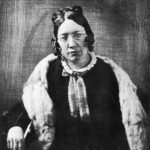 She continued to head the Troy Female Seminary until 1838, when her son and daughter-in-law took over management of the school. Emma Willard had a disastrous second marriage. She married Dr. Christopher Yates and moved to Boston with him. He also gave up his career, but after only nine months they separated. In 1843 a Decree nisi was granted – a court order that does not have any force until such time that a particular condition is met, such as the passage of a specified period of time. 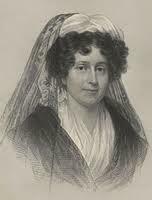 From 1845 until her death, Emma Willard remained close to the Troy Female Seminary as an adviser, teacher and speaker. Her last years were filled with traveling, lecturing and writing. She traveled to Europe, and assisted in establishing a school for women in Athens, Greece. She published numerous articles on education. She traveled thousands of miles throughout America, and presented lectures to promote the cause of education. In 1854 she represented the United States at the World’s Educational Convention in London. 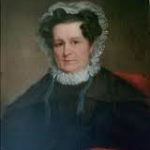 Emma Willard died on April 15, 1870 in Troy, New York at the age of 83 and was interred at Oakwood Cemetery. Olivia Slocum Sage, an 1847 graduate of Troy Female Seminary, became the wealthiest woman in America when her husband, former congressman and railroad tycoon, Russell Sage died in 1906. At her urging, he had donated a small amount to her idea of founding a college for women. At his death, she helped establish Russell Sage College on the former Emma Willard site. Mrs. Sage was the most generous benefactor in helping to build the current Emma Willard School campus atop Mount Ida in 1909–1910. It was designed in a Jacobethan Revival style common to educational facilities of the era, and is recognized as the country’s first secondary school for females and was the product of Emma Willard’s pioneering efforts to expand educational opportunities for women. Willard’s success demonstrated the importance of educational opportunities for women and the need for seminaries to introduce “more substantial subject matter” to overcome critics. Her publications on behalf of women’s education earned the support of such luminaries as James Monroe and Thomas Jefferson. 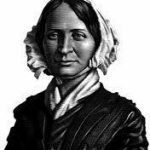 Among the illustrious graduates of the Seminary was Margaret Slocum Sage, wife of Russell Sage and America’s foremost woman philanthropist. Sage donated the Seminary’s current campus and financed the construction of several school buildings. The Troy Female Seminary was renamed the Emma Willard School in 1895 in her honor and a statue honoring her service to the cause of higher education was erected in Troy. Today it is a college-preparatory boarding and day school for girls from 9th grade through the post-graduate year. Not only does the school maintain the rigorous academic program established by its founder, but also young women can take advantage of visual and performing arts, independent study in the community and a full range of interscholastic sports.